Essendon produced a great come from behind victory last night. I admire the grit of any team that can do that in the west, Jobe Watson’s tears however aren’t so welcome. Social Media went nuts last night after West Coast fans booed Watson every time he touched the ball. Some fans were outraged they could boo a player after the culture problems they’ve had at their own club, while some didn’t care because booing the opposition is part of the game. Drugs in sport are horrible. Recreational drugs can often carry more health risks, while performance enhancers do just that, and for that reason I think the two are very different animals. If a player makes the choice to take recreational drugs then they are putting their own health at risk while potentially putting those around them in danger. That can’t be applauded because it shows an obvious flaw in human nature. If you take performance enhancing drugs, as Watson has admitted to then you are not only giving yourself an unfair advantage in your field, but you are tarnishing the name of your employers and the league to the point where the damage may be irreparable. 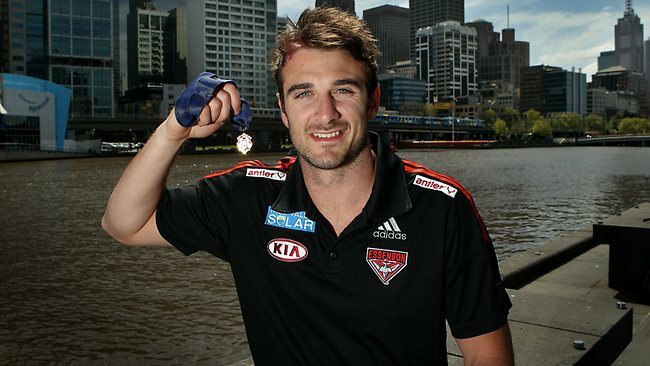 If you’re Jobe Watson, then you’d think being on roughly $800,000 to $1M a year, you would be able to independently check whether what you are taking is on the banned list. In a past athletic life the first thing I did every time a doctor suggested I took something was check if it was on the banned list. Now tell me, if I can be doing that from the age of 14 when I am earning absolutely nothing, what’s the harm in Jobe Moneybags (pun fully intended) placing a phone call or getting a second opinion? I honestly don’t believe athletes can trust anybody who isn’t an official member of ASADA or WADA when it comes to what they are taking. Sure, you can say that he was under the care of his employer so he should trust them, but look at the history of Dank and tell me if you’d trust him with anything. Club captains are meant to be role models and set examples for not only the rest of the team, but everyone who in any way associates themselves with the team and I believe that while we should congratulate Watson for having the guts to come out and admit his actions, he has firmly failed as a role model as a result. It can be argued that admitted his took a banned substance sends a great message to the community, and I agree on that point, but it doesn’t undo the wrong he has done through his own irresponsibility. Should he lose his Brownlow? I don’t see an alternative. This entry was posted in Published on xavierplayer.com, Written and tagged AFL, drugs, Essendon, Jobe Watson, Stephen Dank. Bookmark the permalink.